Taking your CBT test in Edgware is the first step to getting out on the road on a scooter or motorcycle. You can expect your CBT - which stands for Compulsory Basic Training - to last up to 8 hours. All you need is a UK provisional licence and to be at least 16 years of age to take your CBT test. Although it is commonly referred to as the CBT test, you don’t have to worry about failing. The CBT is more like a day of instruction, with the end goal of making you a safe motorcycle or scooter rider. Want to know more about the day itself? Here’s what a full CBT test entails. Where can I take my CBT test in Edgware? We currently have two CBT test centres in Edgware, both of which have great public transport links. We have North London Motorcycle Training, which is located on Edgware High Street, just 7 minutes walk from Edgware rail station. If you’re a little further south, Universal Motorcycle Training may be your best bet. They’re situated in The Hive London, almost exactly halfway between Canons Park and Queensbury stations. What Can I Ride For My CBT Test? You don’t need to worry about owning your own motorcycle or scooter for your CBT test in Edgware, the school will provide you with one you can use. If you’re 16-years-old you’ll be limited to motorcycles or scooters with a capacity of no more than 50cc and a top speed of 31mph. If you’re 17-years-old and above you’ll be allowed to ride anything up to 125cc. If you choose to complete your CBT test in Edgware on an automatic machine, such as a scooter, then you won’t be limited to just automatic machines once you head out onto the road on your own, although we would suggest completing your CBT on whatever type of machine you are likely to be using once you have completed your CBT. In our opinion, these are the best scooters and motorcycles for commuting. 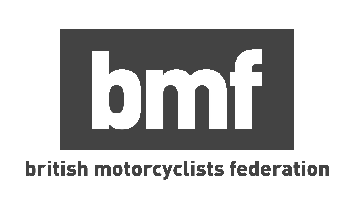 If, once you’ve completed your CBT test, you’re happy to stick to a bike no larger than 125cc you’ll have to refresh your CBT test every two years. What Do I Need For My CBT test? The school will provide the specialty riding equipment that you need for the day, such as a helmet, gloves and jacket. For your lower half you’ll want to wear the sturdiest pair of trousers you own, such as some thick jeans. You’ll want something equally sturdy on your feet, such as walking boots. So what are you waiting for?! Get your CBT test booked in Edgware and get out there on the open road!